Displaying your Instagram photos can increase your followers. and also can help you to drive more traffic from your shares. Instagram is most popular social photo sharing app. Instagram is one of the popular social networking apps. with more than 400 million registered users and more than 100 million active users. Instagram users can share photo, videos and users can follow each others. Adding Your instagram photos into your WordPress site is very helpful to Increase Social Engagement. Yes, it can Increase engagement between you and your Instagram followers. which can Increase your followers. 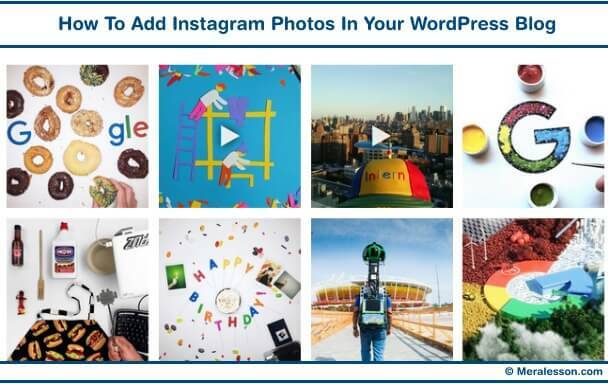 It's easy to add your Instagram photos in your WordPress site. 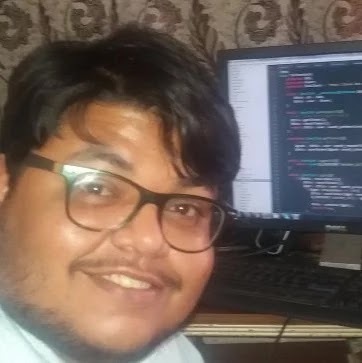 No coding or other experience is needed. So in this tutorial you will learn how to add Instagram photos in your WordPress site. There many other Instagram feeds plugins that you can use to add photos in your WordPress. And the plugin which we will use in this tutorial is "Instagram Feed". Instagram Feed is very beautiful, customizable and also responsive. Two hundred thousands WordPress websites using this plugin to display Instagram feeds. 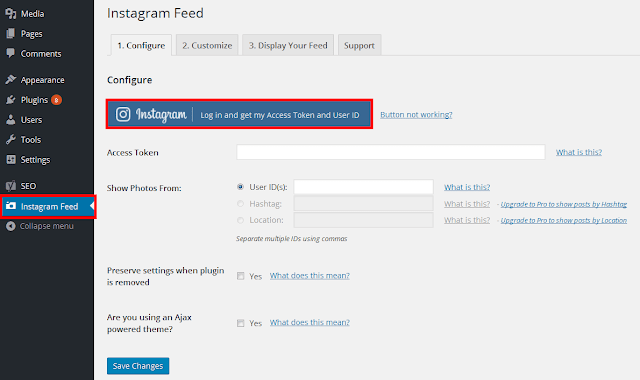 The first thing that you need to do is download the "Instagram Feed" plugin from your plugins tab or download manually. Once you done, then install and activate the plugin. To display your Instagram photos into your WordPress you need to get your Instagram api access token. So go to your WordPress admin area and click on the Instagram feed tab. Then click on "Log in and get Access Token and User ID" blue button. And authorize your account with this plugin to get your Token. Once you are done, You will be redirected to plugin page with your Access Token key. And you need to copy your Token key and paste into the Access Token field. and also your User ID in the User ID field and save settings. If want to change the feed background, field size and follow button. Then click on customize tab and customize your feed. 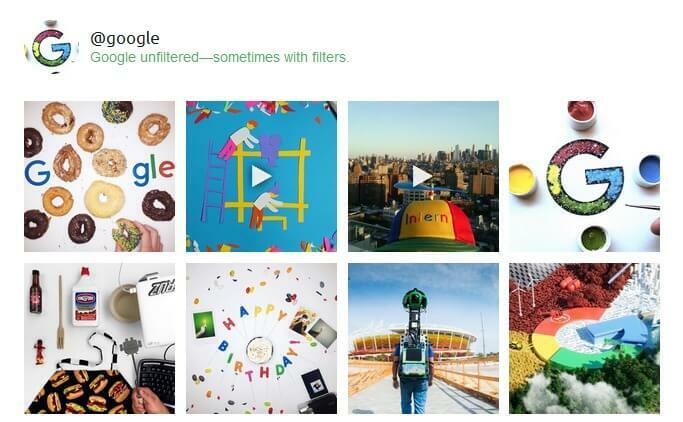 You can embed your instagram feeds. click on Display Your Feed tab and copy the shortcode [instagram-feed]. You can display the feeds in your Widget, Post, Page. You just need to add the shortcode . To add in the Post, Go to your Post and add the shortcode in your post text. 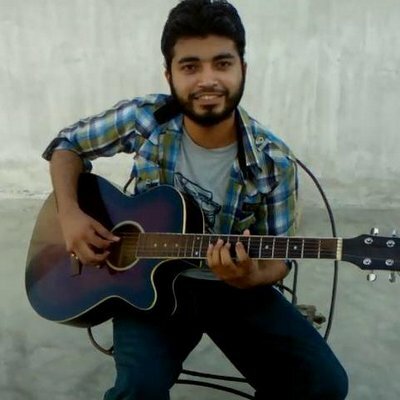 If you want Display photos form another Instagram profile. 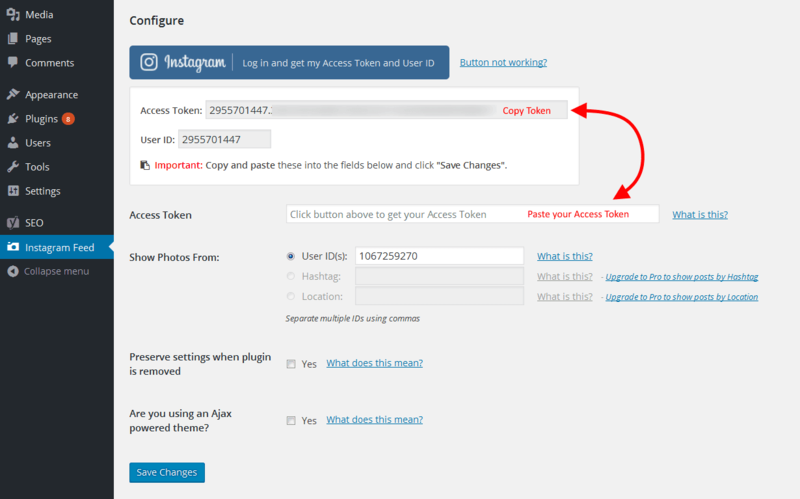 Then use this tool to get the user id and add the User ID in Instragram User ID field and save it. So this is how you can add Instagram photos into your WordPress site. We hope this tutorial helps you to embed Instagram photos. If you liked this Tutorial then make sure to like and follow us Twitter, Facebook.